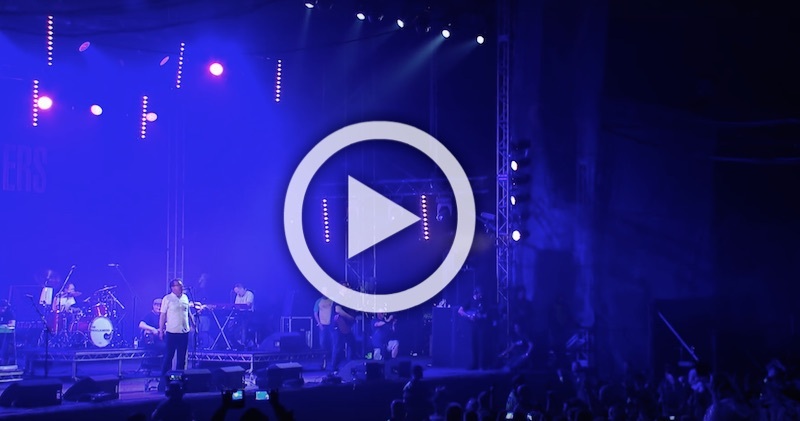 Acknowledged as the best act at ‘T in the Park’ the Proclaimers brought the crowd alive with ‘Sunshine on Leith’ at Scotland’s premier music festival held at Strathallan Castle, Perthshire. The Proclaimers – Scotland’s most loved band – have written many of the nations top songs including the euphoric ‘I’m Gonna Be (500 miles) and ‘I’m On My Way’. ‘I’m Gonna Be’ went on to soar to No. 3 during a 6-month reign in the US Billboard Singles Chart in 1993 after appearing on the soundtrack of the Johnny Depp film Benny And Joon. I’m ‘On My Way’ also re-emerged in 2001 when it subsequently accompanied one of the pivotal scenes in the hit movie Shrek.